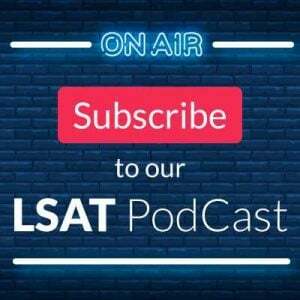 You are here: Home / LSAT Prep / How Do I Prepare for the LSAT if I’ve Burned Through All of my Practice Material? 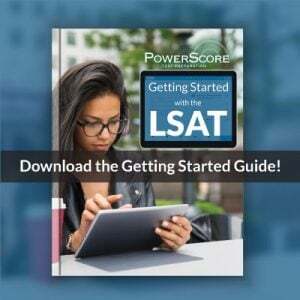 How Do I Prepare for the LSAT if I’ve Burned Through All of my Practice Material? A common question I get around this time of year is “how do I prepare for the test if I’ve burned through all of my practice material?” There are three key steps I’d take between now and test day so that you can still maximize the remaining prep time that you have. (1) I’d review, over and over, anything and everything that’s given you the slightest bit of trouble the past several months. A lot of people underestimate (or even entirely ignore) the value of what could almost be described as muscle memory for a test like this, where doing challenging things perfectly enough times makes them not just intuitive, but automatic (more on that here: https://www.reddit.com/r/LSAT/comments/75zz0k/powerscore_bibles_testmasters/doadd9w/). Pay particular attention to the last two years’ worth of exams since those will likely serve as the best indicators of what the next test will hold, and make sure that you understand them at the molecular level: not just why right answers are right, but why every wrong answer is wrong, how arguments are put together and any recognizable forms of reasoning present (flaws, conditional chains, numbers and percentages constructions, etc), common elements in games like inferences from rule connections and numerical distributions and template opportunities, and RC passage structures particularly in terms of identifying viewpoints (competing, agreeing, neutral) and other big-picture concepts (main point, tone, author’s attitude/purpose). (2) The ultimate goal of #1 is that you begin to understand this test not just well enough to take it successfully, but so thoroughly you could create one yourself. 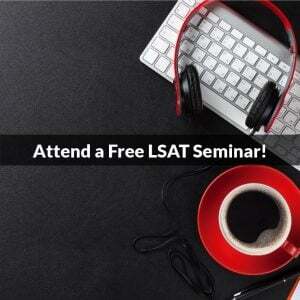 The very best test takers see the LSAT through the eyes of the folks who write it. One of the most effective ways to reach that level—aside from the deconstructive analysis I just described—is to teach it. That, again, forces you to formalize your process for consistent repetition, and to see the exam from the perspective of people more prone than you are to fall victim to the test’s many traps, the same fallacies and pitfalls you’re looking to avoid. It’s one thing to be good at the LSAT, but I promise you won’t truly understand why you’re good or what your instincts are doing—right and wrong—until you attempt to make other people good. So find some friends who are taking it and offer to help! For lower scorers your insights and experience (and success) will be a welcome contribution, and you’ll learn a ton about your own strategies as well as about those that are less useful. For higher scorers like yourself, form study groups where you take turns explaining the ideal way to attack problems to one another, correcting each other’s analyses and determining for everything you see the best way to beat it: for instance, I spent a lot of time with LR and RC focusing almost exclusively on wrong answers and—this is crucial—what it is about each that the test makers would say to defend its elimination (more on that here: https://www.reddit.com/r/LSAT/comments/75zz0k/powerscore_bibles_testmasters/doapl9d/). Then when students would ask me “why not D?” I’d be able to clearly point out exactly why it failed, and how to spot similar failures immediately in the future. (3) Perhaps most important of all is mentality. What tends to separate a 171 from a 177 usually isn’t wide gaps in raw intelligence or different experience or conceptual mastery, but mindset (and let’s be honest a touch of luck). The near-180 is just this much more dialed in, drifting less and staying endlessly confident and focused. They’re aggressive without rushing, they’re active and attentive and engaged while still looking to push their pace, and they’re entirely immune to getting rattled. And, speaking at least for myself, they enjoy it. When I sit down with an LSAT in front of me I have a slight grin on my face because I know I’m about to get in the ring with a crafty opponent who’s going to try every trick in the book to land a punch…and I’m amused at how telegraphed every swing is about to be. Let’s do this!, and then it’s duck and weave, stick and move. I’m Ali taunting his increasingly frustrated opponent, gliding my way to the final bell without a scratch. Hell, without breaking a sweat. Is every test a flawless 180? Not quite. Usually, but I’ll slip up now and then, let my guard down or misread slightly or get momentarily distracted. We’re human after all. But I can tell you that at the outset my mentality is exactly as I described it above—hyper-focused and utterly bulletproof. Work on engineering that type of attitude every single time you sit down to practice—full test or single question; “old” content or new—and come test day you’ll be entirely in control. And your score will show it. Let us know below if you have any questions or comments, or call us at 800-545-1750 to get started! Thank you for your detailed information. I like this blog and regularly read the posts. I mentioned PowerScore in some recent videos. Thanks Stephanie! As a frequent author here I’m really happy that you’re finding our posts helpful! I’d love to check out your videos if you want to provide a link! This has been my biggest reason for stressing about retaking, I went through all the material already. Thanks for the post, glad to know others have the same issue and there’s way to still continue to study and improve. So happy to hear this article helped, Julian! Keep up the hard work!